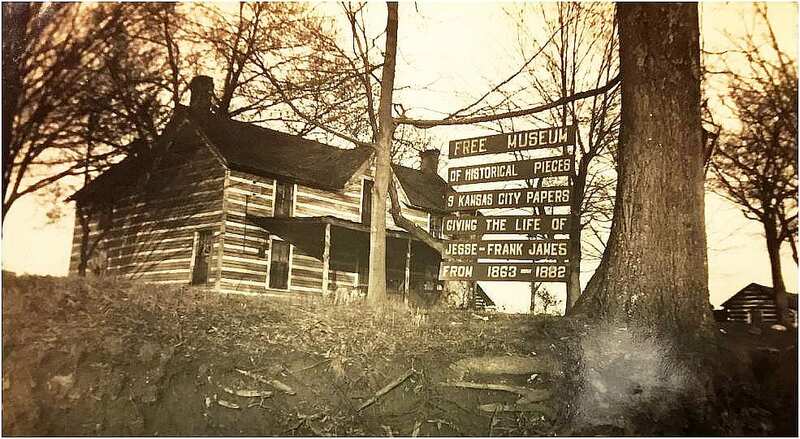 For 20 years, I have searched for any old photos of this James family home that became the first Jesse James museum. James family lore had spoken about the museum for years. Recently Curtis Gilliland, a cousin who is vice-president of the Pulaski County Historical Society in Somerset, Kentucky notified me about a new accession received by the Society that arrived right before Christmas, 2016. At last, now we can see what the first Jesse James museum looked like. 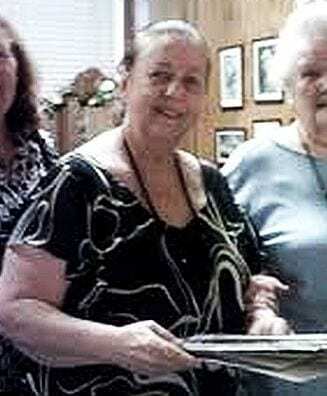 Helen Vogt Greene, curator and museum historian of the Lake Worth Historical Museum in Lake Worth, Florida, donated the accession to the Pulaski County Historical Society. Greene is an award-winning historian. In April of 2016, the Palm Beach Historical Society awarded Greene the coveted Fannie James Pioneer Achievement Award. The award is named for an African-American pioneer (of no known relationship to the Jesse James family) who served as the first postmistress of the post office in the settlement of Jewell, now Lake Worth. The photo accession includes several photographic images, personally written notations, a business card, and Helen Vogt Greene’s written letter statement of provenance and donation. In my personal interview with Mrs. Greene, she confirmed the facts of the letter and explained more of the story behind the photos. Greene, who was 7 years old when her family took these images around 1943, stated that a group from Poland had visited Somerset and Pulaski County in Kentucky at that time. 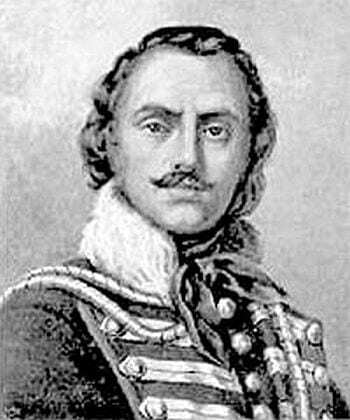 The interest group was attracted to the county’s name and its namesake of Casimir Pulaski. Greene’s family joined their tour. I informed Mrs. Greene that John M. James, a founder of Pulaski County and the grandfather of Frank and Jesse James per local lore, selected the name for the county. In the American Revolution, John M. James was a supplier to the Patriot cause together with Joshua Logan Younger, grandfather of the Younger brothers of the James gang. Also as a spy for Gen. Washington, John M. James was a great admirer of Casimir Pulaski as an American Patriot from Poland. 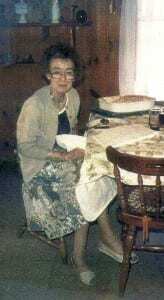 Helen Greene stated that she was unpacking some boxes recently when she uncovered the photographs that had been long stored away. As an historian cleaning house, Greene determined her family photos should return to their place of origination. 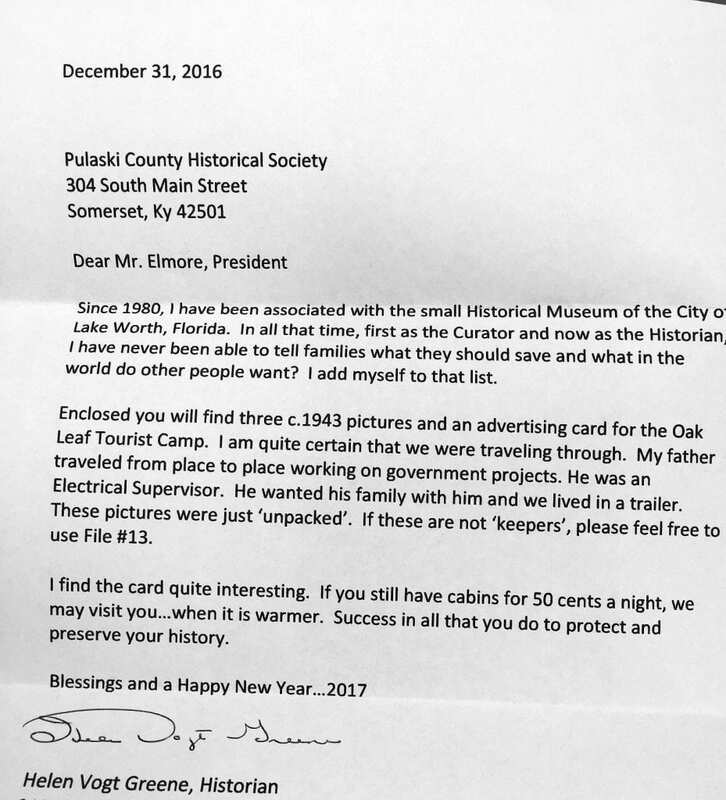 So, she donated them to the Pulaski County Historical Society. Since 1980, I have been associated with the small Historical Museum of the City of Lake Worth, Florida. In all that time, first as the Curator and now as the Historian, I have never been able to tell families what they should save and what in the world do other people want? I add myself to that list. Enclosed you will find three c. 1943 pictures and an advertising card for the Oak Leaf Tourist Cmp. I am quite certain we were traveling through. My father traveled from place to place working on government projects. He was an Electrical Supervisor. He wanted his family with him and we lived in a trailer. These pictures were just ‘unpacked”. If these are not ‘keepers”, please feel free to use File #13. I find the card quite interesting. If you still have cabins for 50 cents a night, we may visit you…when it is warmer. Success in all that you do to protect and preserve your history. Contact information of address, telephone number, and email for Helen Vogt Greene are redacted here. When I first visited the site of the old Jesse James museum, it was in 2001. Cousin Virgie Herrin-Fuller 1922-2009, a James descendant and retired schoolteacher, took me there. Virgie lived on the same road as the old museum, just a few minutes away. Virgie grew up in Shopville, in the home that her grandparents Joseph Allen Herrin and Susan Harriett James had built on the original land of John M. James. 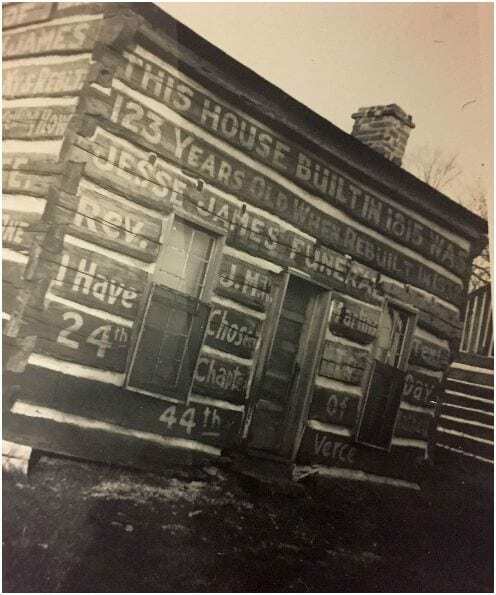 Virgie said at that time that she always recalled the old log cabin where we stood was used as a Jesse James museum. It was a tourist attraction. She further stated that the log cabin originally was built on the land of John M. James in Shopville where she grew up. 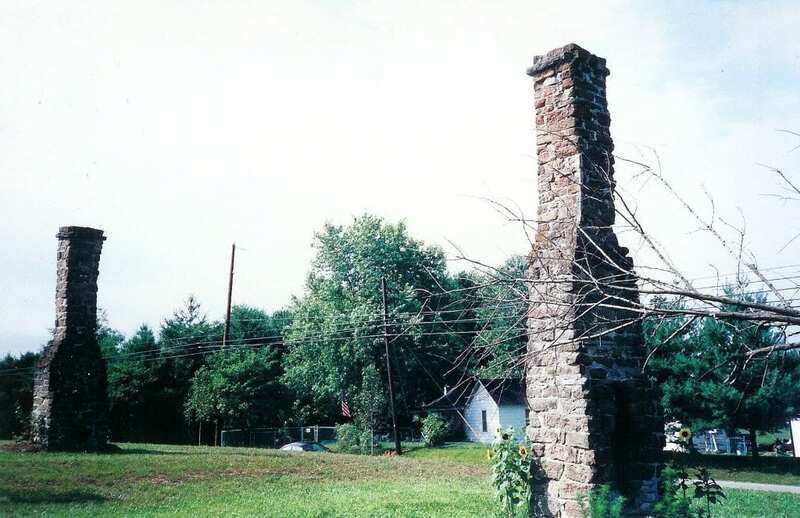 As we looked around that day, all that was left of the old museum were two standing brick chimneys. Virgie confirmed that the museum had burned down years ago. Everything that the museum contained, that was collected from the James homes in Shopville, was consumed by the flames. In further research, I found many others among the James family and in the town of Somerset who recalled the old museum as Virgie did. Nowhere I looked did I ever find someone who could provide photographic evidence of the building’s existence. Now, thanks to Helen Vogt Greene, that is changed. Now the lore of the James family is confirmed by the newly recovered photographic images. Graffiti painted on the building walls in the period, presumably when the structure became a museum, tells the story of the building. 123 years old when rebuilt in 1938. Rhoda May-James 1806-1889. No photographic image of Rev. Joseph Martin James ever has been found. The James family’s archives, however, do include an image of one is his wives, Rhoda May, and an abundance of photos of his children and their families. John M. James settled the land on Buck Creek that became Shopville, from two land grants he acquired in 1799. John’s son, Rev. Joseph Martin James operated a store house on nearby Flat Lick Creek, that gave the area its name. The reference to a reverend is unclear. The text could refer to Virgie’s great-grandfather Rev. Joseph Martin James, at times referred to as Martin among his congregation, at other times referred to as Joe among his family. For many years, Rev. Joseph Martin James served as pastor of the Flat Lick Baptist Chruch, of which his father was a founder. 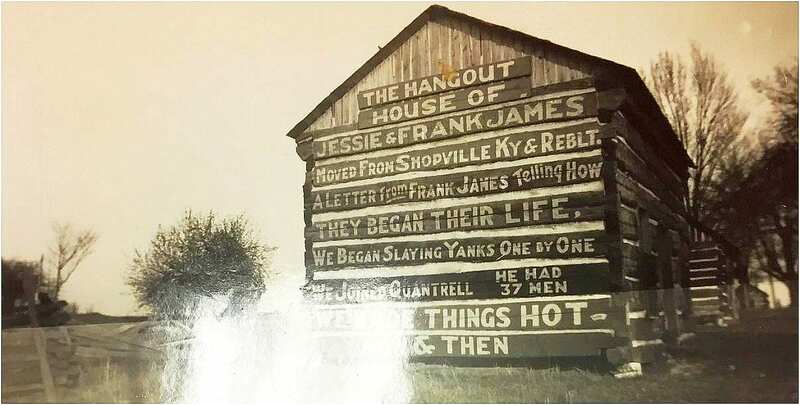 A history of Flat Lick Church acknowledges the James in the formation and operation of the church, and also in their relationship and kinship with Frank & Jesse James. Rev. James later founded the First Baptist Church of Somerset, Kentucky, also serving there as pastor. Joseph Martin James was a very popular preacher. Moved from Shopville & reblt. We joined Quantell (sic). He had 37 men. Around the time of the discovery of the of the Zee James Collection of historical images and artifacts by Al King of Somerset, Mr. King found himself at an estate sale on Main St. in Somerset. A small number of items attracted King’s attention. The seller stated the items came from the Jesse James Museum on North Route 1247 outside Somerset when the museum went out of business. Mr. King purchased a photo, not knowing who was pictured in the image. During the first meeting with Mr. King to authenticate the artifacts he purchased from the historical home of Judge James Madison Lindsay, King alerted me to the photo he had bought on Main St. King asked me if I could identify the person in the photograph. When the photograph was produced, I knew instantly who was in the picture. 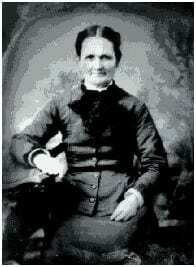 The photo was of Mary Harriett James, a daughter of Rev. Joseph Martin James and Rhoda May. The image reflected other known images of Mary Harriet James in the family archives. This was corroborating evidence that the first Jesse James Museum actually contained artifacts produced from the Shopville homes of the James family. The James family expresses its deepest appreciation to historian Helen Vogt Greene for this valuable contribution to our James family history. 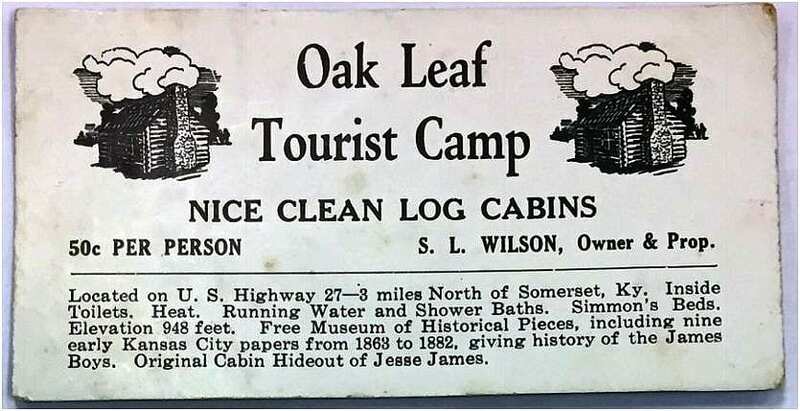 The former site of the first Jesse James Museum was part of the Oak Leaf Tourist Camp, N. Rt. 1247 near Abbott Rd., 3 miles north of Somerset, Kentucky. 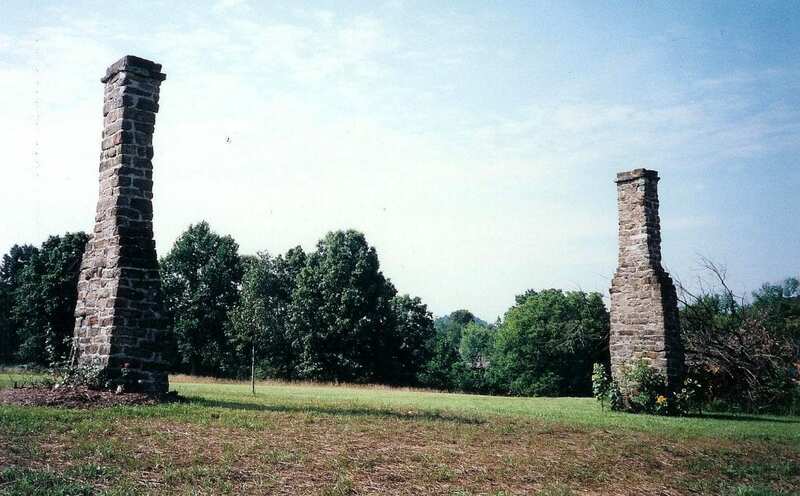 Except for two remaining brick chimneys, the site sits vacant today, but conitnues to be talked about and visited. The former site of the Oak Leaf Tourist Camp and first Jesse James museum today, 2017. On November 20, 2011, Kansas City native Col. Stewart Boone McCarty Jr. died. Like the grandchildren of Jesse James, Col. McCarty was a direct descendant of Kentucky explorer Daniel Boone, making him a cousin to the grandchildren of Jesse James, who also are directly descended from Daniel Boone. (See Pedigree below.) Unlike the outlaw’s grandchildren who suffered under the stigma of their heritage, Col. Boone suffered no such stigma. He actively pursued his family history to the joy of reveling in it. Little joy came, though, to Joan Malley Beamis, who was the first of the Jesse James family to pursue the James family heritage. 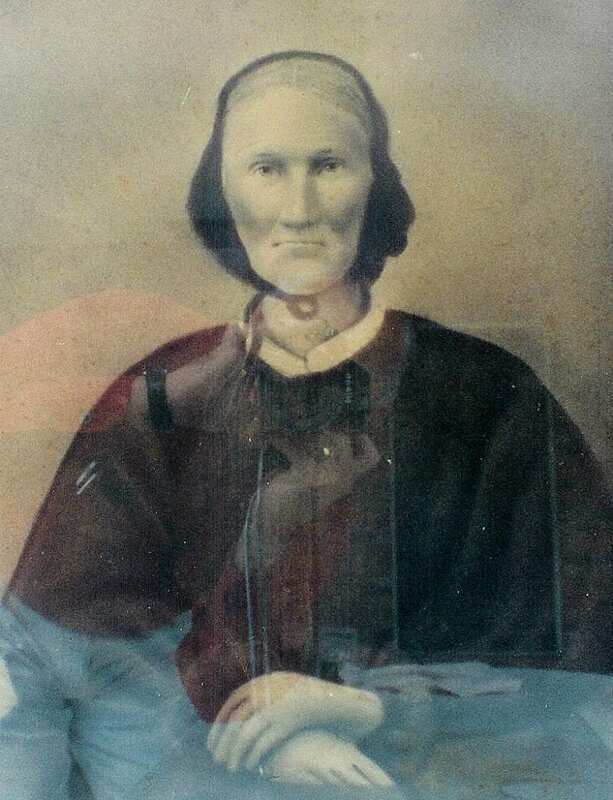 Joan was a great granddaughter of the infamous outlaw’s uncle, Drury Woodson James. Joan sought her own membership in the Daughters of the American Revolution (DAR). Her family strictly warned Joan to avoid any contact with her cousins in Missouri. Writing to the New York City Library, instead, Joan was dismayed to learn that the great repository of east coast history knew nothing about her family and nothing whatsoever about the family of Frank & Jesse James. Col. McCarty had no such difficulty. For many years he served the National Society of the Sons of the American Revolution (NSSAR) as President General. Out of its membership of 28,000, Col. McCarty was one of six to receive the Society’s Minuteman Award. He had graduated from the University of California at Los Angeles with an AB in Economics. At George Washington University, he completed an MA in Management and Personnel Administration; and then he completed graduate studies in Archaeology at Worcester College of Oxford University and the Catholic University of America. Despite receiving an excellent education herself, Joan struggled for years simply to make contact with her family of cousins who didn’t even know of her or her kinship with them. Joan wrote a number of times to Lawrence Barr, the outlaw’s grandson. He ignored her letters. Finally, his wife, Thelma Duncan Barr responded to Joan, but only after Thelma had been urged to do so by a cousin in the Mimms family, who already was a member of the DAR. Joan Beamis learned her cousins in the Jesse James line of her family knew little, if nothing at all, about their family history and lineage. Joan was left to perform the difficult research that took years to restructure the skeleton of her James family genealogy. What little she learned, Joan published as a book titled, Background of a Bandit, through the Kentucky Historical Society. 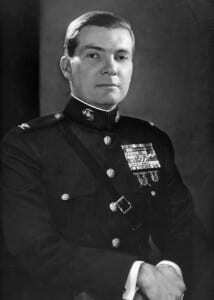 Col. Stewart Boone McCarty Jr.
Col. Stewart Boone McCarty Jr. pursued a lifelong career in the U.S. Marine Corps. He commanded units from platoon to battalion, in combat and in garrison, interspersed with staff assignments and attendance at military schools. He was awarded the Legion of Merit; Bronze Star Medals with combat “V” in Korea and Vietnam; the Purple Heart; the Meritorious Service Medal; and other United States and foreign military awards. He retired from military service in 1974. 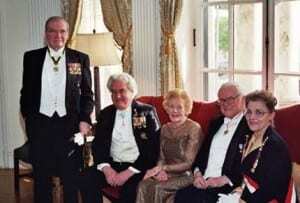 Knowledge of his family history merited him membership in multiple lineage societies in which he avidly participated. In all her research, Joan never did identify the Patriots among her James lineage. They existed, as the new history of the James family will show in Jesse James’ Soul Liberty; but they eluded her. Pedigree of Col. Stewart Boone McCarty Jr.